Just this past Friday, March 30, A Series of Unfortunate Events season two arrived with gusto. Streaming on titan platform Netflix, season two has expanded from eight episodes to ten and takes the views up through book nine. This season sees the introduction of the two remaining Quagmire triplets, a swagger filled Nathan Fillion stepping into the role of Jacques Snicket, and a wonderful, fourth wall breaking, sense of self awareness that shows of this nature often lack. While yes it does follow a predictable plot line, which was a problem many had with the first season: bad guardian –> something terrible –> Baudelaires escape. The beauty of this repetitive and predictable plot line though is it allows actors like Neil Patrick Harris (Count Olaf) and Nathan Fillon (Jacques Snicket) to really work their roles and have fun doing so, which is reflected as fully realized and sharp characters. The plot, instead of taking front and center like most shows/movies, takes a backseat to an incredibly immersive and rich world. Instead of trying to turn darkly fantastical source material into highly approachable comic realism (e.g. Marvel Comics), the plot champions a wonderful sort of self-realized, almost escapist fantasy that is unafraid to hit viewers in the face with a strong message of: This is our world, not yours. With this world also comes the introduction of the highly secretive and, thus far, very vague secret society of VFD as the Baudelaires chase after red herring after red herring (ha). 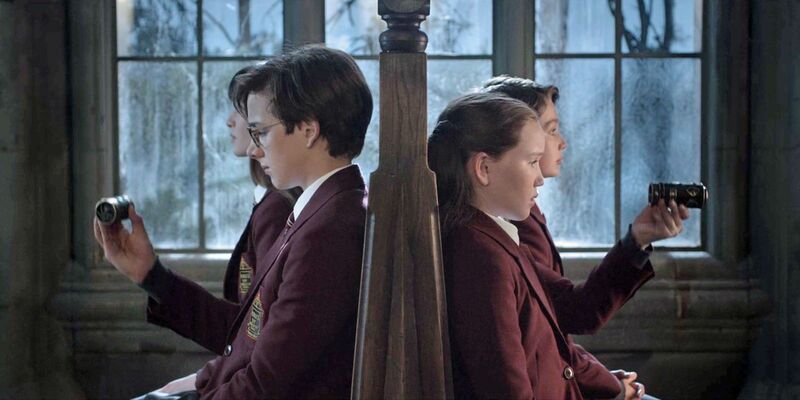 This season is wonderful and keeps the Baudelaires on the move, it maintains the spirit of the books and the first season with dexterity, and manages newly introduced plot lines with ease. I recommend this show so highly it and I are probably in space. Go watch it. Now I may be a bit biased by the fact that I get to see one of my all time favorite series on screen, if one is in the mood for a more comprehensive look at season two (spoiler warning) there is one here.